Map of the 12 KM course (click to enlarge image). 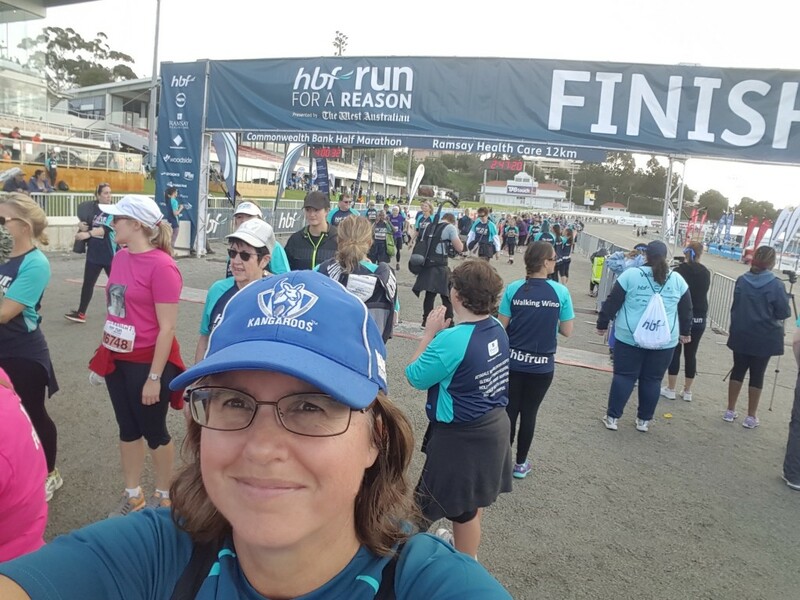 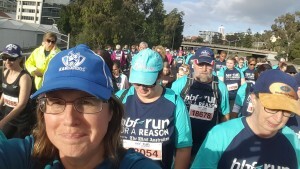 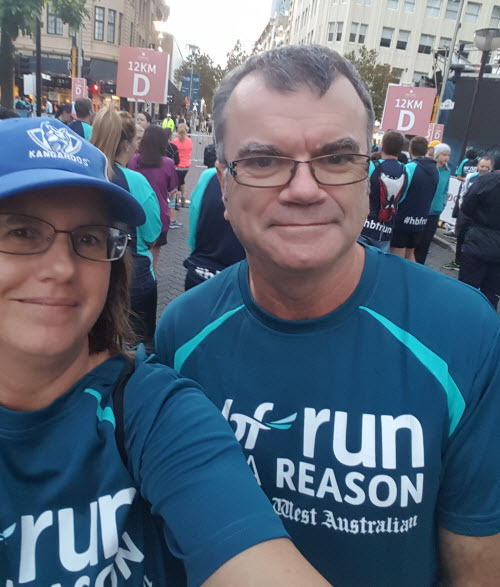 The HBF Run for a Reason is the biggest walking, jogging and running event in WA. 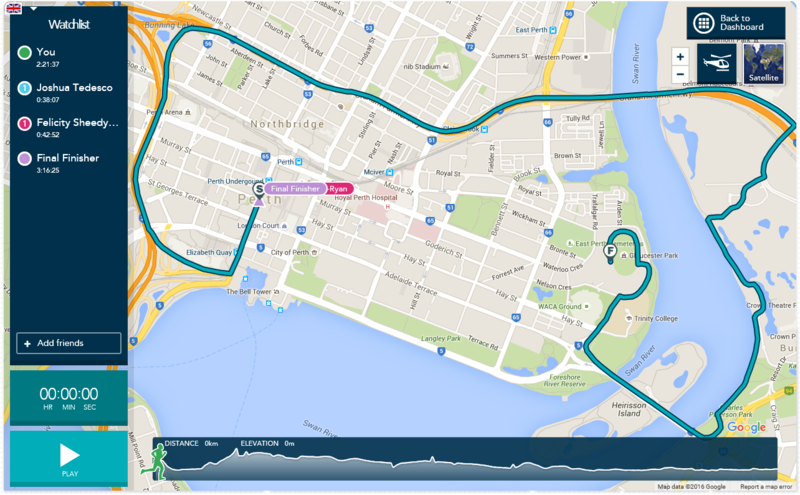 It includes 25 km, 12 km and 4 km events. 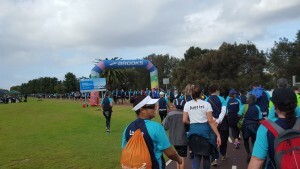 We participated in the 12 km walk on May 21, 2016. The race started at Hay Street and finished at Gloucester Park. 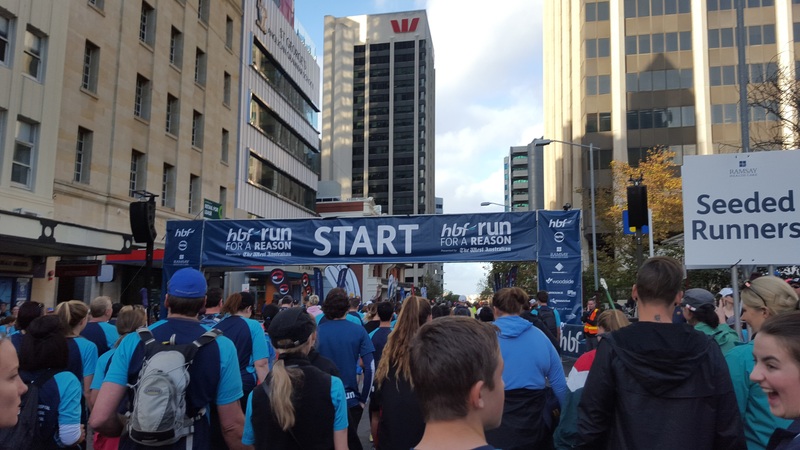 Participant packs are sent by mail or can be picked up from the HBF Run for a Reason Event Centre in the 3 days before the event. 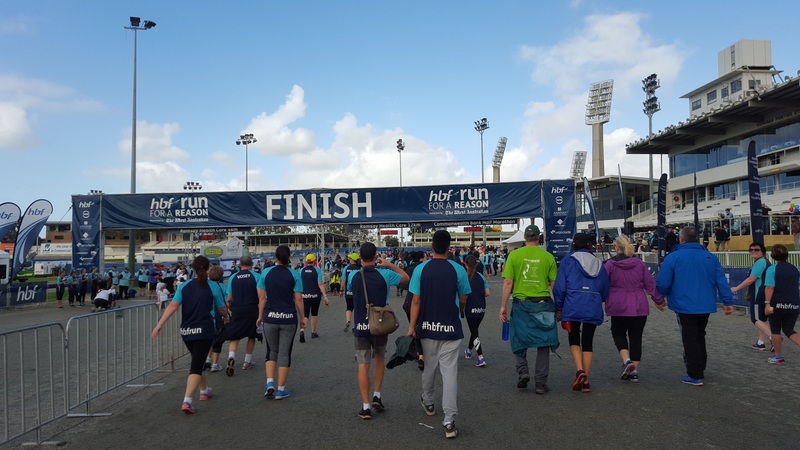 You can registered up to the day before the Event. 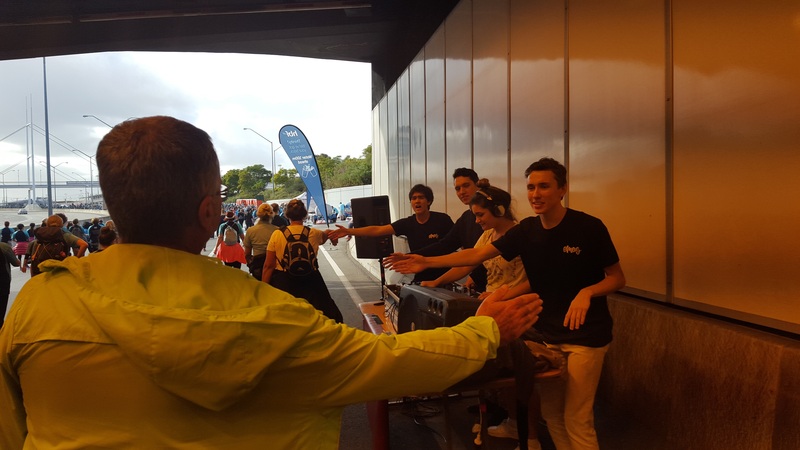 Free public transport is part of the Event and is the best way to get to/from the Event. 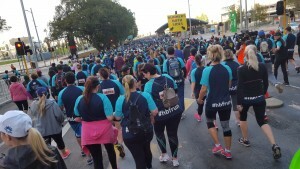 Photos are taken through out the Event and are tagged using the tracker chip each participant wears. 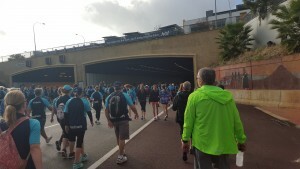 Participants are sent a link to their photos to view and order. Registration includes a T-shirt provided the size you need is available. 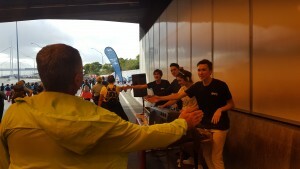 The T-shirts had already gone when we registered so we couldn’t order one but when we asked at the T-shirt pick up area at the Event Centre they were able to provide us with a T-shirt from last year. 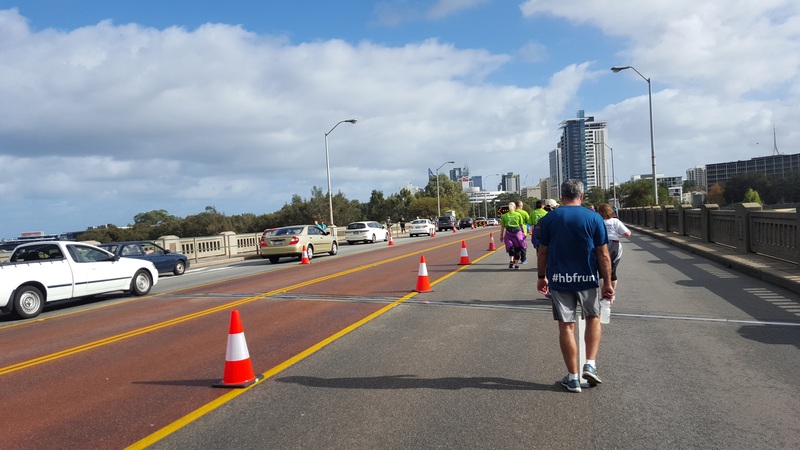 Lots of great activities including food options at the finish line at Gloucester Park. Here is a video of the Event created from my photos using movie feature in Google Photos. 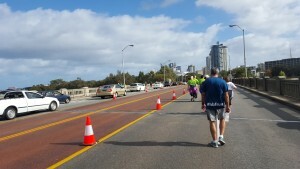 Participants in the 12 km course are broken into 4 groups with staggered starting times. 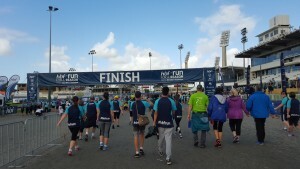 Our walking group was the last to start the course — about 25 minutes after the first group of runners. 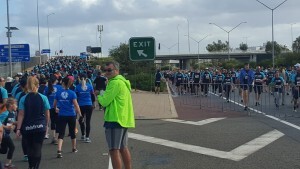 The first 2-3 kms was very crowded and hard to navigate through slower walkers. 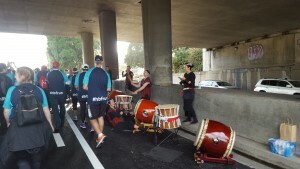 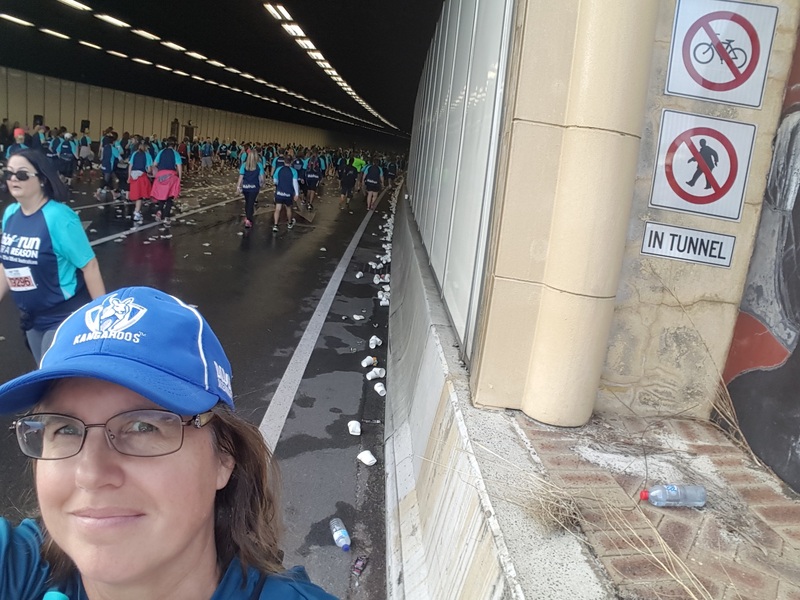 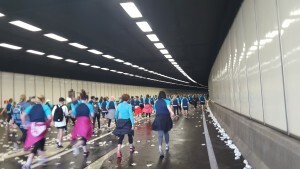 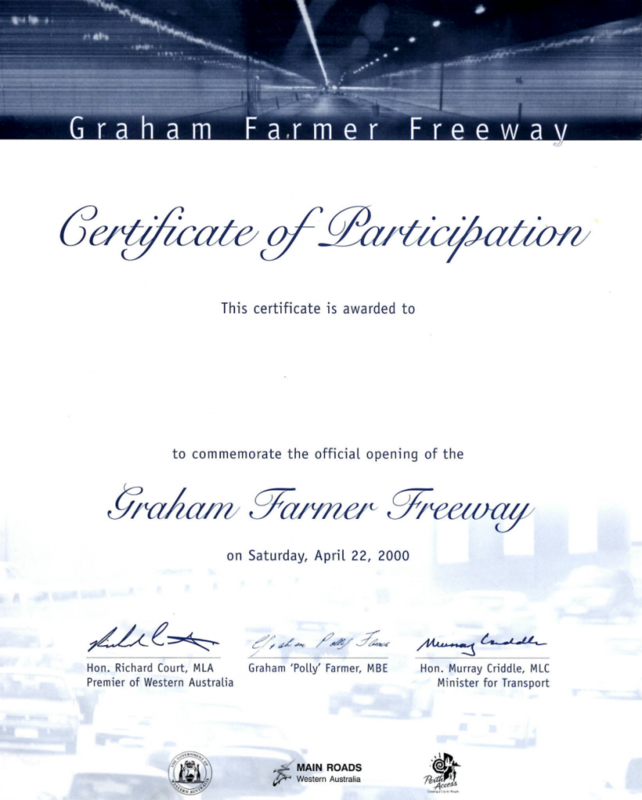 My favorite highlight was walking through the Northbridge tunnel on the Graham Farmer Freeway. 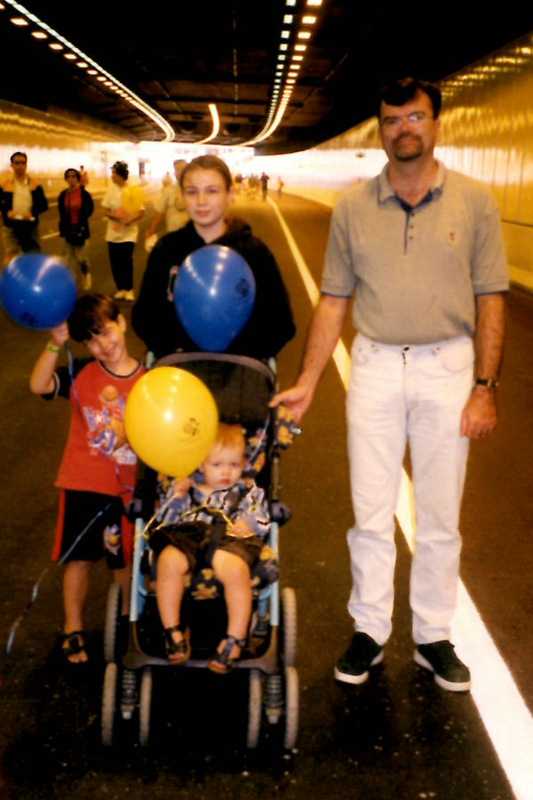 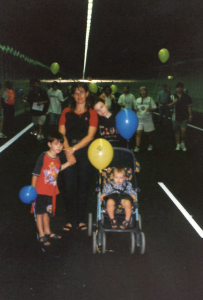 The last time we walked through the Northbridge tunnel was on April 22, 2000 during the official opening of the Graham Farmer Freeway. 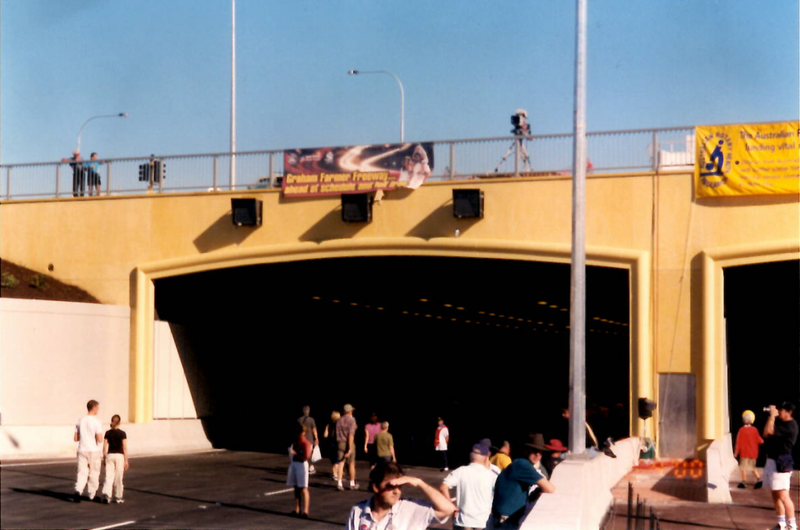 Here are my photos from 2000! 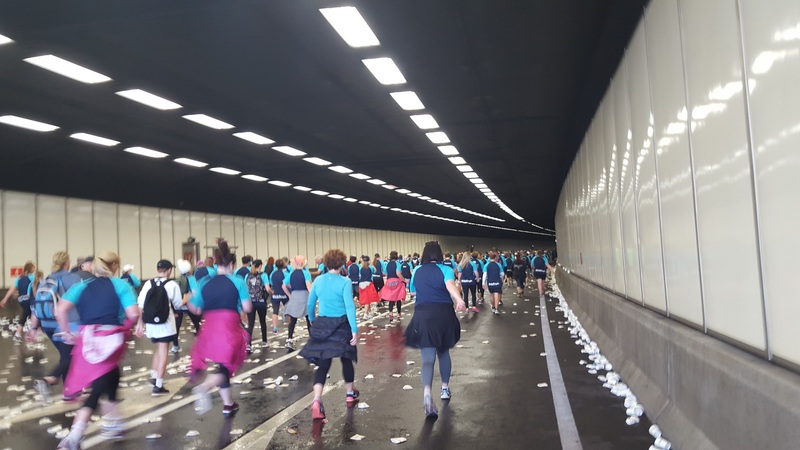 And my photos of the tunnel from 2016.